The US Food and Drug Administration (FDA) has granted permission to Innovative Health Solutions to market bridge neurostimulation system NSS-2 Bridge, the first device for use in helping to reduce the symptoms of opioid withdrawal. The NSS-2 Bridge is a nerve stimulator that can be placed behind the patient’s ear. Electrical pulses emitted by a battery-powered chip stimulate certain cranial nerves and this provides relief from opioid withdrawal symptoms. Patients can use NSS-2 Bridge for up to five days during the acute physical withdrawal phase. Symptoms of acute physical withdrawal include sweating, gastrointestinal upset, agitation, insomnia and joint pain. The FDA reviewed data from a clinical study of 73 patients before granting permission to market the device. During the study, clinical opiate withdrawal scale (COWS) score of patients was evaluated. Withdrawal symptoms such as resting pulse rate, pupil size, sweating, bone and joint aches, gastrointestinal issues, tremors and anxiety are measured to determine the COWS score, which ranges from 0 to over 36 in severity. Prior to using NSS-2 Bridge, the average COWS score for the patients was 20.1. The patients recorded a reduction of at least 31% within 30 minutes of using the device. Sixty-four of the 73 patients were shifted to medication-assisted therapy after five days of using the device. The FDA cleared the electro auricular device (EAD), now called Bridge Neurostimulation System, in 2014 for use in acupuncture, and granting permission for NSS-2 Bridge allows the device to be used as an aid to reduce opioid cravings. The device is available only by prescription, and is not suitable for patients with hemophilia, cardiac pacemakers or psoriasis vulgaris. “There are three approved drugs for helping treat opioid addiction. While we continue to pursue better medicines for the treatment of opioid use disorder, we also need to look to devices that can assist in this therapy,” Gottlieb said. 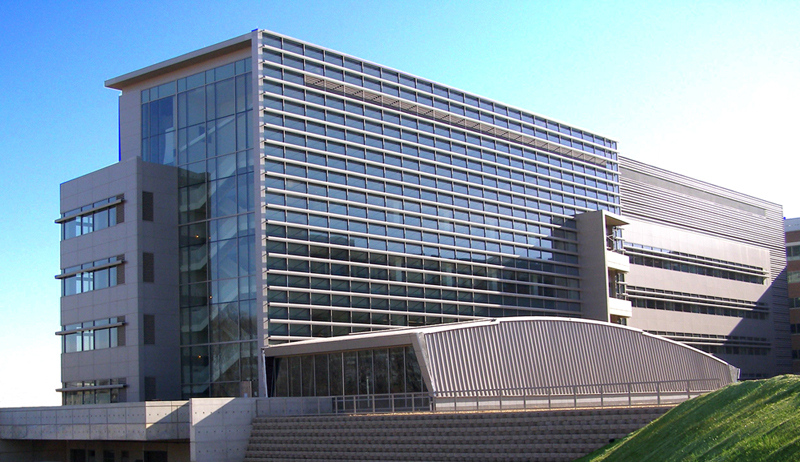 Image: FDA Laboratory Building 62 (Engineering and Physics) houses the Center for Devices and Radiological Health Photo: courtesy of The U.S. Food and Drug Administration.